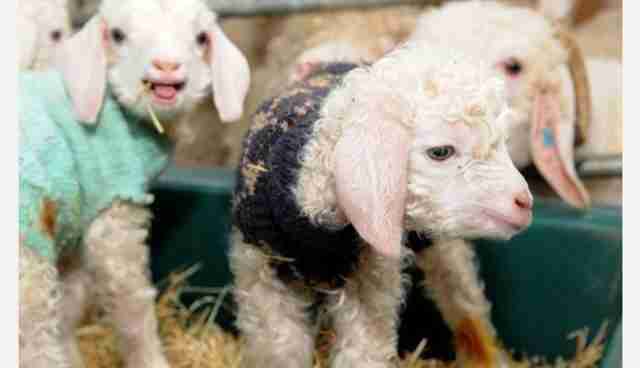 Baby angora goats on an English farm are riding out the chilly winter weather in rather adorable fashion. 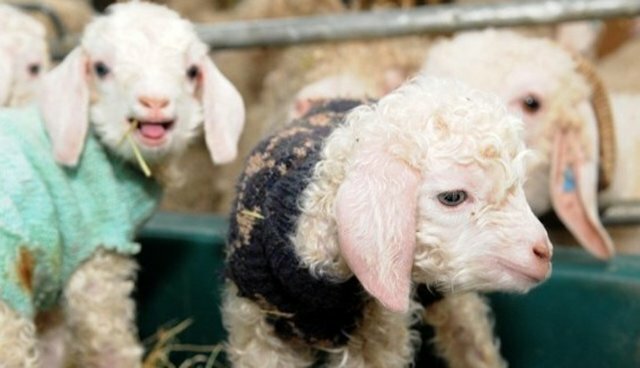 Julieann and Mark Snook-Bevis, who operate Noteworthy Farm in North Devon, have clad their latest batch of newborn sheep in tiny wool sweaters to keep them cozy and comfortable when the mercury drops. But before too long, the little newborns will be warm enough on their own. Angora goats are famous for their thick, insulating fur that is typically shorn twice a year to produce mohair. For now though, the youngsters seem to be enjoying a bit of added protection. Read more at the North Devon Journal.